Montessori, Part 2: How Do We Engage Students? Theoretically, every educator wants to engage kids, so how does the Montessori philosophy do this differently? It starts with a deep knowledge of child development. We build the educational environment around a scientific understanding of the child’s needs. Most traditions are based on the institution’s needs historically (schools have been factories that take a group who are the same age and do the same thing with them, test them, then move them on). While today’s trend is to focus more on a student’s needs, this is difficult to do well without changing the fundamental structure of the classroom–and sometimes even the standards in the classroom. At Fulton School, when we focus on the developmental needs of the students, the classroom looks different than a traditional classroom. Students of all ages need choice, personal responsibility, opportunities for exploration and mastery, emotional nurture, and freedom to move within the classroom. They need to be able to learn on their own time table and in their own style. Our youngest students can learn much more than our culture gives them credit for if material is presented in concrete, small chunks. Our elementary students will burst with enthusiasm if they are able to chase their passions and research their curiosity. Everyone doesn’t have to be on the same page of the text book or spend the same amount of time on every concept—especially as material grows more complex. But to do this well, that is, purposefully, carefully, and methodically, schools and teachers have to be willing to rethink classroom structure, schedule, and assignments. Here at TFS, we have much more freedom to do this culturally at the youngest ages. We can teach three year olds to read and do math in ways they love, which is impressive, but we can also teach them pour water, to zip their coats, and to prepare their own food, which is extremely valuable to their sense of self worth. As they get older, we have more cultural pressure to cater to the college preparatory environment, so we have to get creative if we are going to engage them! PreCalculus and long historical research papers may not fit the developmental needs of many adolescents, but practically speaking we need to include them so our graduates are prepared for the challenges that await them in college. We look for ways to include choice, movement, individual rhythms and learning rates, personal responsibility, relevance, and a breakdown of concepts in classes that may not be naturally interesting to the older students in the hopes of engaging them in a curriculum we can’t necessarily control. While we engage toddlers and preschoolers differently than 6-12 year olds and 12-18 year olds, the key is being willing to take risks, allowing for some flow and some uncertainty, and watching for the student response at every age group. Dr. Montessori said that the work should call to the child and that is our goal: that our students are drawn to what they need to learn rather than be pushed, bribed or threatened. This is no easy task and is much more of an art than a formula, but we are committed to doing it every day in every class. This is what makes us different. Montessori, Part 1: What’s All the Hype? The Montessori Method is the pedagogy (pedagogy is a fancy word for “how we teach”) that sets our school apart from others. There are different ways to summarize Montessori, but here is our core belief: Kids are natural learners and we must work with their desire to learn rather than against it. At The Fulton School, we strive to create an environment where kids can learn to their hearts’ desire. The most fundamental characteristic of a Montessori classroom is engagement. Kids who are engaged when they’re learning will learn deeper, will learn faster, and will love learning. These three results multiply and develop into increased self confidence, higher self efficacy, and of course, a self-perpetuating desire to keep learning. At the youngest ages (toddler and preschool), the difference between a Montessori environment and a non-Montessori environment is astounding. In addition to the academic pride and ability that our kids develop, their ownership in the classroom, their emotional and academic maturity, and their responsibility for their own actions stand out as incredible life skills for all kids to learn — no matter their age. No one else is doing anything like this in early childhood. Most day cares are working to get kids to sit quietly on a line, share, and not fight with each other. That’s what we would be doing too if Dr. Maria Montessori hadn’t created another option that we at The Fulton School have all discovered in some way or another. Do you want to learn more about Montessori? Do you have a friend who wants to see — really see — how differently a Montessori classroom works? We’d love for you to set up an Observation Day — your own window into a Fulton School classroom. Homework makes some families absolutely miserable. (I don’t mean eye rolling and sighing because it has to get done — that’s good frustration to barrel through in order to develop grit, self-discipline, and time management.) I mean regular melt downs, tears, lying, yelling (parent AND child) — complete disruption of the household because of homework. One of our philosophical premises here, based on Dr. Montessori’s work and much more research in the century following her, is that all children want to please the adults around them and they are doing the best they can with what they have. We also believe that every sincere feeling is involuntary. Staunch, stubborn, regular refusal is therefore likely not misbehavior, but rather a symptom of something else. If misery is part of your homework routine, then we need to partner together to tackle it. Your child is not learning constructive coping skills or building academic skills in that environment. When we partner together, we will try to figure out the root of the problem. Often there is some cognitive obstacle and the resistance is just a symptom. We will talk through your observations and the teachers’ observations. Testing may be appropriate to identify some hidden obstacle in the way your child processes. Maybe he/she is overscheduled. Maybe the homework assigned is overwhelming, and we need to back off. Whatever the situation, we will analyze it (and change it if we have to) together until it has improved. This is what the TFS parent partnership is all about–working together to make sure each child is growing up in the environment he/she needs in order to thrive! Another homework question that comes up a lot for students of all ages is the question of parent help. The student may be too dependent on parent help, the student may resist parent help, or it all may be a very messy process of some help, some nagging, some yelling, and some crying (on all sides!). To answer this question, we have to get back to the purpose of the homework and think about the type of help we provide. If the purpose of the homework is preparation for class (usually this is reading or researching), then creating a situation where the child is doing that preparation effectively is the most helpful thing you can do. Creating the time for the work or possibly helping them locate audio books or software to support this might be the best way to assist. If the purpose of the homework is practice or a final project, then the child really needs to be able to do it without your help (aside from creating the time and space for them to complete the work). If the child cannot complete this work on his/her own, then the teacher needs to know so they can address the needs in class. If this is a chronic issue, then we may need to meet about providing the child with the proper plan and support for moving forward in that subject. The most effective assistance will be offering supplies, time, and space. The type of help we give is very important. The most important rule of help to remember is that every time you help, you send the message that “you cannot do this on your own.” This is an okay message to send when it’s true and you want to send this message. Unfortunately, we often send this message when we don’t intend to and we create helpless dependence on us, an aversion to failure/risk, and lower self-confidence. Dr. Montessori said the child’s perennial request is “help me do it by myself.” Giving feedback, editing a paper, or looking over a math sheet might be fine if you challenge the child to think through what they already know. “You might re-read the first paragraph and look for appropriate capitalization.” Or “You didn’t show your work on #9. Doesn’t your teacher require you to show your work?” This is empowering the child to develop good habits. Sitting down to the computer to edit their paper or cutting out their science fair paragraphs is not empowering them… in fact it undercuts their growth. The daily grind of hard work, making mistakes, and receiving feedback is developing cognitive and emotional habits they need for life. Many kids won’t want their parents’ help. This is fine too and displays a healthy sense of independence. Whether they feel vulnerable about the paper they wrote or they are just separating from their parents a bit, this is a healthy step for them to take. It shows great maturity and executive function skills if they can do their homework and turn it in without parent involvement — in fact this should be every parents’ goal before senior year. If you have concerns about your child’s follow-through, you should partner with the teachers, letting the teachers know that you are hands-off and asking them to let you know if you should be more directive or if you should support them with any structure or discipline at home. Your relationship will be better without the added conflict, and your child will develop more self-confidence, organizational skills, and independence necessary for college and life beyond! Homework is preparing kids academically, but it also serves a very important role for the development of executive functioning. 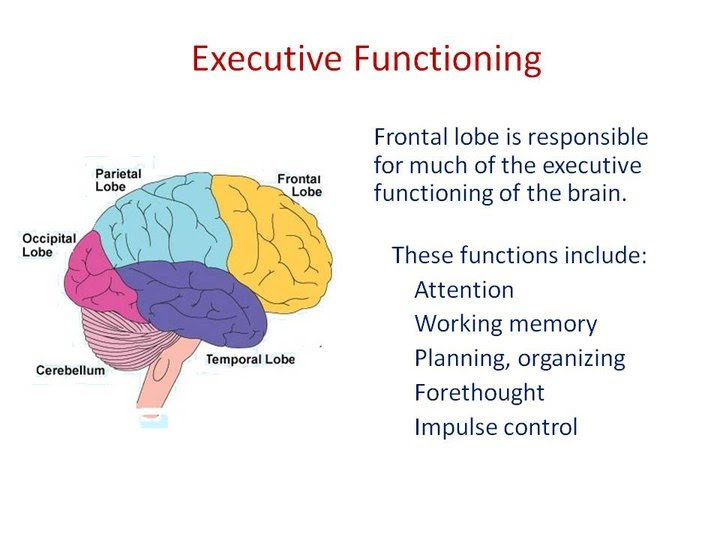 Executive functioning is a key task of the frontal lobe of the brain and one of the most important functions for our children to develop in order to function as an adult. It’s the center of planning ahead, estimating time, making decisions, prioritizing tasks, problem solving, and organizing things and thoughts. It comes naturally to a fraction of kids, but most will need to practice it. Aside from any academic value, homework provides one of the best opportunities for executive function development. Remembering that they have it, figuring out when to do it, how much time they need to set aside, evaluating later whether they set the right amount of time aside, figuring out the environment they need to work on it independently, what to do when they don’t know the assignment, what to do when they can’t complete the assignment, and figuring out how to get the assignments back to school and turned in are huge parts of the homework process. As parents, how do we help them practice all of this without actually doing it for them? We have to help create the time and space (Do they know the schedule in the evening? Do they know the schedule for the week?) for the homework to get done, but ALSO to evaluate and problem solve the variety of obstacles that will inevitably get in the way. Instead of telling them when to do their homework, you can talk about the schedule and ask them when they want to insert homework into that schedule. We can help them evaluate if their plans are actually working or not. Did they get it done when they thought they would? Was that the best time to try to do it? If they don’t know what their homework is, challenge them to figure out how to find the assignment. If they are likely to leave it at home, challenge them to think through alternate plans and use one (pack backpack the night before, email it to themselves, set it by the front door, put it all the way in the car). If it’s still not getting done, your child may need to lose some privilege of making these decisions for themselves (or the privilege of having other fun activities in their schedule), but your goal should always be to wean your way out of the process as soon as you can, maybe letting academic and home-based consequences do your work for you eventually. Working backwards from adulthood/college, if they are not going to live with you, they have to figure the above out. They will need their frontal lobe for a successful life… whether they have Shakespeare to read or not. Homework is perhaps one of the most dreaded concepts for most kids (and many of their parents). There is a lot of research out there about the effectiveness of homework and it’s pretty mixed, but I believe that it’s mixed because not all homework assignments are equally valuable, and different kids learn with different rhythms (some absorbing everything during the day and shutting down at night and others needing to revisit concepts and practice later when it’s quiet). At TFS we believe that homework has a place, but it is not a measurement of how academic a program is or how successful a student will be. Here are a few of our guidelines. 1. Homework does NOT need to start early. 2. Homework should be purposeful. We do not believe busy work is good for anyone, especially when it takes away from downtime, jobs, or other enrichment activities kids may have after school. Once we start giving homework, it should be providing students with practice as they develop a particular skill, preparation for class, such as reading ahead of time, or projects and papers that are too lengthy to finish within the class time. 3. Length of time varies. We don’t want anyone spending every waking minute doing homework, so we try to curb the amount of work to 40-60 minutes in 4th, 5th, and 6th grade, and 30 minutes per class on average in Upper School, but this will vary. Students who get more accomplished during the school day will have less than kids who need downtime and play time during the school day. Kids who work slower will spend more time on homework than kids who work quickly. As they get older and homework is more project-based, students will have nights without work between units, and then nights with more work as a deadline approaches (much like the professional work place). On balance though, we believe that seven hours of school plus some extra work many nights to practice or prepare or complete a project (for our abstract thinkers) is plenty of work for a student to achieve and excel in college and beyond. We’re aiming for a sweet spot between pushing them outside their comfort zone and burning them out in their stress zones. Fill the extra time with other wonderful activities for their brains (like boredom and chores!) and time with you (even if you parent adolescents!). The teachers and I often get questions about dramatic statements that kids make at home. Parents may know they’re not true; some parents may be worried and have questions about these statements. Some of us may even buy into them for a while. Mark Twain said that every feeling, if sincere, is involuntary. Usually these dramatic statements feel true to the kids, but that doesn’t mean that we parents should respond as if they are factually correct. Dramatic but inaccurate statements are not lies, so much as they are vented emotions or disappointed hopes/expectations. Some of us get one-word answers. Others might get a litany of negative spewing that may be hard to believe (Can things really be that bad?). What kids usually mean: Most of the one-word-answers are coming from kids who are trying to end the conversation–they’re not in the mood to talk. Maybe they’re exhausted from the day and just need some down time. Maybe they’re still processing everything that happened. Maybe they’ve been holding it together all day and just need to fall apart a little. Kids who spew or vent (kids who have a long list of negatives) are often processing as well; they just need to let it out and then it’s done and over in their minds. We’re not that different as adults. Many of us probably collapse on the couch after a long day and need 15 minutes before we can start on dinner or the evening activities. Or we need to go off on one event that bugged us (we *might* exaggerate as we vent) to get it out of our system, before we can see that the rest of our day wasn’t bad. Whether they process internally or spew, kids usually just need some time. You probably shouldn’t take any of it very seriously… maybe even give them some time before you start a conversation. If you just make time together, they will often come around and share their thoughts when they’re ready. What can you say? It’s important to give kids the appropriate and accurate words for what they really feel. If they are giving you one-word answers, you can request that they just let you know that they don’t feel like talking right then. At some point when you’re having a good conversation, you can ask them if they prefer you not question them at the end of the day when they get in the car (or whenever it happens). Ask them when would be a good time to talk about their day. Adolescents often want to talk later at night. Some kids may want you alone without a sibling listening. It’s appropriate to communicate that you need to talk with each other at some point, but let them have a say about when. 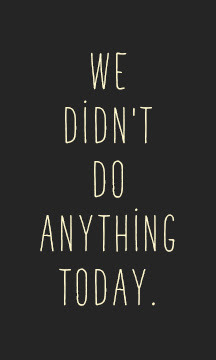 If your child is one who vents, it’s important not to buy into it (assuming you don’t think there is a true crisis) anymore than you believe that the one-word child really did “nothing” all day. Resist the temptation to get pulled in and believe it all or to try to solve the problem. Depending how often it happens, you may even limit the sharing to something positive–something he did for someone else, something she learned, or something good that happened. Otherwise you could be rewarding a pattern of negativity with your attention. There is all sorts of research demonstrating that we have to train ourselves to be positive–and that we’re happier when we do. Again, at some point when you’re having a good conversation together, you can point out the pattern of negativity and reflect on that with them. The more they are thinking through what they do and why, the more self-awareness they will develop over the years. They’ll usually need your help with this, but it will pay off. 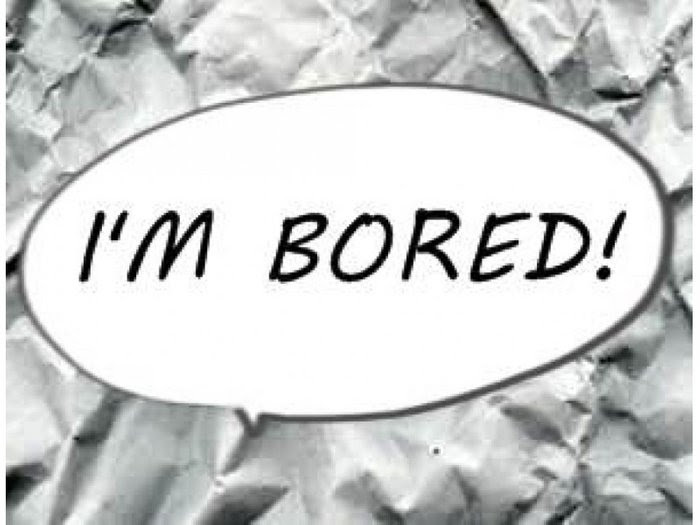 “I’m bored” is in a slightly different category than our first two phrases because kids generally mean it without any exaggeration or dramatization. But we hear it often enough when it shouldn’t be true, that I’m including it in this series. Whether it’s Christmas afternoon when they’ve played with every present for 15 minutes already, or standing in line at Disney World, we are often shocked to hear it. It’s important to remember that boredom isn’t a bad thing for children, whether they are at the height of over-stimulation or enduring a monotonous few days sick at home. Pulling themselves out of their own boredom is really good for kids. They truly don’t get enough experience with this particular skill in our society. What kids usually mean: If kids are bored in a stimulating situation, it often means they are overstimulated, like an emotional sugar crash. If kids are bored in a low-key situation like a lazy, summer afternoon, it is likely because they are in between activities and feeling aimless. Neither situation requires your intervention. They just have to work their way through the feeling. This builds up stamina for feeling the “blahs.” It builds creativity, curiosity, and resourcefulness in addition to links with improved executive functioning (planning) and responsibility. Sometimes we do need to intervene on boredom, but the signs will usually be misbehavior (making something more interesting in an inappropriate way) or disengagement (tuning out and shutting down). In these cases we can teach the child skills for making something more interesting (creating a light-hearted game or connecting the duty to analyze poetry in class to something that matters to them) or remove them from the situation (let them quit that particular activity or limit the length of time visiting Grandma at the nursing home). They will not usually recognize the feeling and will call it boredom though. What can you say? Simply not giving the child a whole lot of attention for this comment is often going to take care of the problem. If the whining continues, an offer of chores can do wonders. Explaining that boredom is good for them is an effective way to curb the whining as well. Offering up “fun” options — well, those usually get shot down, although solving the problem for them is not likely the best route since we want them to develop the ability to comfort themselves and push through. If the issue is constant, teaching them coping skills like making lists of options and duties, saying “complete three items on this list before you come tell me you’re bored,” or “draw one thing out of this jar and do that” can help them because you’re not solving the problem for them completely. Kids who can work through quiet times without screens and other automatic entertainment will have an advantage in almost every area of life, the most important of which is being content in their own minds. Hear a phrase all the time at home? Send it to me and we’ll talk about it. If it’s a common one, I’ll add it to this blog series! “Everybody else does!” is another one of those phrases kids use a lot but is rarely true. 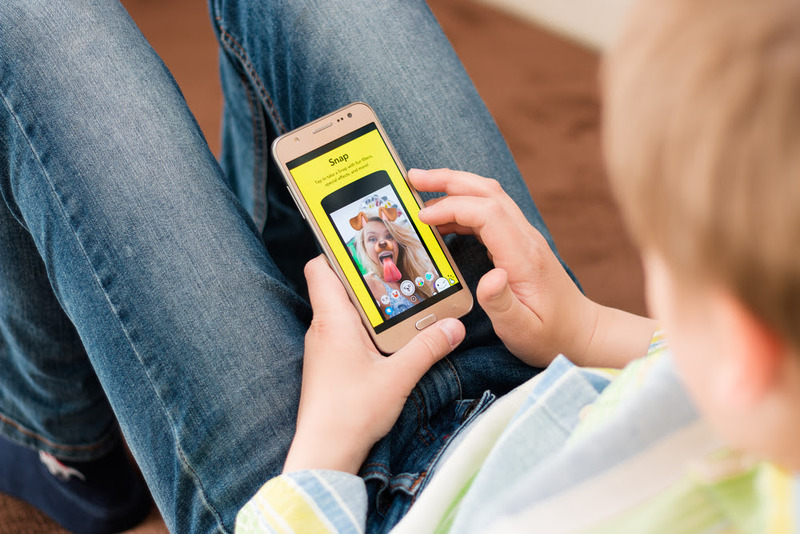 Whether everyone in their class has phones, attends (or does not attend) an event, drinks soda, or has a Snapchat account, when a child uses this phrase, he/she is applying social pressure on you as his/her leverage. The implication is that you don’t know what you’re doing, that you are waaay off, or that you are responsible for loneliness, isolation, and/or deprivation. You have two options broadly speaking in this situation. The first is for when you feel strongly about the principle behind your decision. One of the biggest gifts you can give your kids is “We don’t need to do everything like everyone else.” Sending them any sort of message that they have to fit in or that you feel that you have to fit in sets them up for all sorts of vulnerability when they eventually have to make unpopular decisions in their lives. The only way for them to build the strength to stand up for what they believe is by actually doing it… including surviving it when you require them to do it. The second option (only for when there is no deeper principle involved) is to take their comment at face value and research it a little. 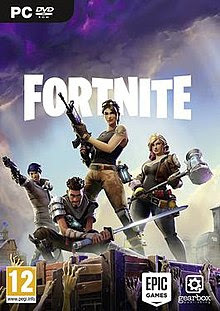 Maybe you want to call their bluff about the number of kids who are truly allowed to eat an all-dessert lunch or play Fortnite before their homework is done. When you call your child out on it and they can only honestly name two, you can help them reflect on the dependability and logic of their reporting and persuasion tactics. Or if you are truly curious about what other families do, ask for a list of “everyone” and reach out. You can get some feedback from other parents, help your child feel that you are taking them seriously, and then re-evaluate your decision. 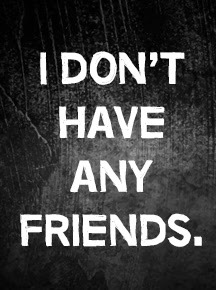 “I have no friends” is one of those statements. Kids rarely have no friends. If they truly don’t have any friends, they will not usually state it dramatically. It will be a much more serious issue that has gone on for a while, and they will likely have internalized it. This is something serious that we (faculty and staff at TFS) watch for. We will all collaborate and likely a child will need group and individual counseling if this is truly the case. If you are worried about this, reach out to your child’s teacher or advisor, and we will work with you to figure out what’s going on. What kids usually mean when they say “I have no friends” is that they feel lonely or unsure of their belonging. Maybe they didn’t know who to sit with at lunch or who to play with at recess. Maybe they don’t feel like they’re being themselves at school or worried that if their friends knew their “real self,” they wouldn’t be accepted. Many times kids are prioritizing the attention of one or two people and when they don’t receive the attention or affection they want from those particular people, they feel that all is lost — even though they may have many other possibilities. What can you say? Usually you just need to listen and sympathize. They are venting, and you don’t need to fix the problem — in fact you cannot fix the problem. You can also focus on helping them be a good friend. Most kids struggle socially because they focus on themselves more than their friends — a natural and understandable ego-centrism for their age. Peers will teach each other what’s acceptable and what’s not through the School of Hard Knocks, and you should help them get through it but not undercut those lessons. Or if you notice your child hyper-focused on one or two people, they may need coaching to cast their nets wider, reach out to kids who don’t have friends, or to relationships that may be healthier or more welcome. At the end of the day, not everyone clicks naturally, friendships are messy, everyone is doing their best with what they have in the moment, and you probably only have a quarter of the story. Our teachers and I are happy to help provide context or mediate conversations if it seems constructive, but there’s no doubt that sometimes the kids will simply have to work on getting through a hard time or disappointment with grit and grace. Learning to rebound, forgive, let go, and hold your head up are all important skills (almost like muscles) to develop as they grow up. It’s SO hard for us to sit by and watch, but with most kids, there’s little possibility of avoiding it or solving it. Located just outside of Wildwood (MO), The Fulton School at St. Albans is a small, independent school preparing students for higher education and a lifetime of learning. Serving toddlers through 12th grade, The Fulton School is a place where students feel safe, challenged, and supported by their teachers and fellow students. Using a Montessori-based, multi-aged, personalized approach gives each student the space to learn without limits and to be curious without caution. The beautiful and peaceful surroundings provide a natural outdoor classroom for science, art, and physical activity. Whether you're a prospective parent, teacher, current parent, or a casual browser, we hope you find a bit of the Fulton School spirit here. The Fulton School community is a special group of people working pretty hard to make the world a more beautiful place in their small ways.